No, the correct translation should be: "When summoned, kills all enemy creatures that have been summoned by enemy creatures." 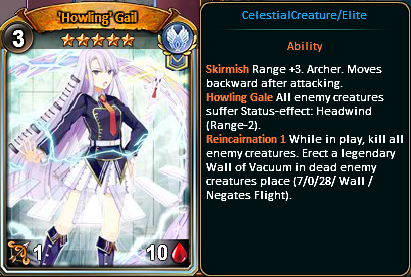 Works like Winged Emperor during her first turn. the comparsion with pigeon is alright, the card has 2 abilities in one and people mix it up a little bit. First part of the ability is, that when summoned, it kills all summoned creatures (that are not immune to predator) and the 2nd part of it is that every time an enemy creature dies, it turns into an friendly wall (this works the whole time, not only the first turn and the card itself doesnt have to do the killing blow).